SINGAPORE - An unwanted water feature was briefly added to Potong Pasir on Wednesday morning (Dec 26) after a pipe leak sent water shooting about six storeys into the air. PUB said it received a report of the leak, which took place at Block 101 Potong Pasir Avenue 1, at 10am on Wednesday. Service crew and a contractor were sent to the site, and the leak was isolated at 10.30am. Repair works were completed and water supply restored at 2.15pm, said PUB. In the meantime, water was temporarily provided to those who were affected using a water wagon and water bags. Some of the water bags were distributed to residents by PUB, while others were left at the lift lobbies of affected blocks for residents to collect. Some households also had water delivered to them by a crisis response team from Potong Pasir constituency, which included MP Sitoh Yih Pin and several grassroots leaders, who were recalled from leave to help. 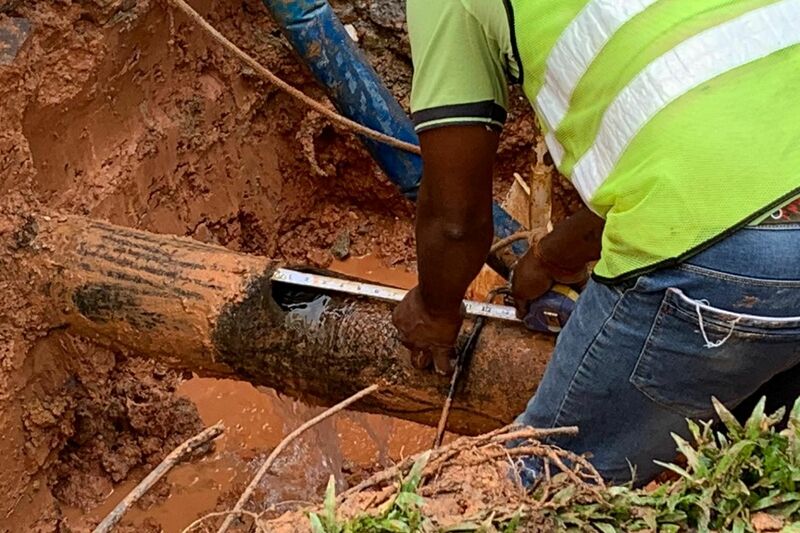 Mr Sitoh said that a resident sent him a photo of water spraying out of the pipe at around 9.30am. Though he was already in town working, he decided to drive to the affected area to help out. "The first thing in my mind was whether there were any injuries, and how many households were affected," he said. The constituency's crisis response team was then activated to help deal with the situation. The team previously helped ferry commuters to and from Woodleigh MRT station during a heavy downpour in April last year, after the station was closed due to a security incident. In Wednesday's incident, the team stationed a grassroots member on the ground floor of the HDB block to reassure concerned residents, as well as to take note of those units whose water supply was affected. The team then filled 5-litre water containers, which had been previously purchased for use in the event of an emergency, with water from PUB's water wagon and water bags. Mr Sitoh and the other grassroot leaders then delivered the water to residents. Each household received 10 litres of water from the team, which residents collected in their own containers before returning the 5-litre containers to the team for future use. Mr Sitoh said around 90 households across Blocks 101 and 102 were affected by the incident, and that his team delivered water to about 30 households over the span of an hour. He added that he believed a contractor for the Neighbourhood Renewal Programme caused the leak when they burst a pipe. "We have reported the contractor to the authorities. PUB has been notified of the incident," he said. PUB said it is investigating the cause of the leak. Members of the public can call PUB's 24-hour call centre on 1800-CALL-PUB (1800-2255-782) to report any pipe leaks.